our Band Program. DONATE today. LIKE US on Facebook & SHARE our posts. SEND us your photos & memories. Please add us to your Amazon Smile! as your charity of choice on Amazon. ​0.5% of all purchases will be donated to BPBF! ​Join our Band Foundation Family! about the work of our program, as well as updates on alumni activities. Please take the time to upd​ate your contact information. We are working to build a strong network of advocates who can speak to the value of music education. ​We can only do that if we know how best to reach you – and the others you know who are parents or graduates of the program! Our permanent source of self-sustaining funding. Contributions build our fund for continued growth. Our Foundations awards yearly scholarships to our band students for College Education, Jazz Camps, SOSP and more! BPBF awarded $3,200 in scholarships in 2018. Dozens of current band students are taking advantage of private lessons to supplement the fine education they receive during the school year. Learn more at Sun Prairie Lesson Academy. BPBF is committed to providing $1,500 annually for band student mentoring. Each of us knows the importance of music education and the impact it made on our lives. Our future musicians deserve the same opportunities. Over the last 15 years, our Foundation has granted nearly $28,000 in requests from the music program. We raised over $700 at our Spaghetti Fundraiser thanks to the support of our dedicated volunteers, The Round Table, and all of YOU who came out to enjoy the wonderful meal and yummy desserts! 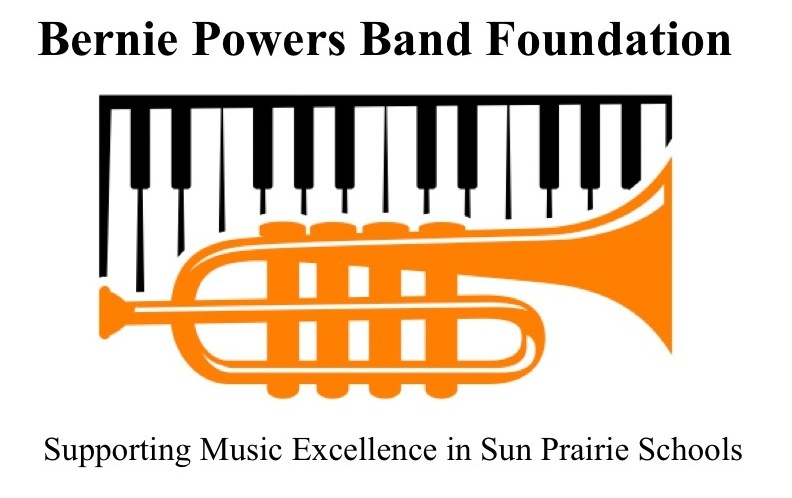 The money raised helps us continue our support of the Sun Prairie Band Program - mentoring (private lessons), scholarships (college, jazz summer camps & SOSP) and more! OUR MISSION: To help preserve, promote, and maintain the excellent music programs of the Sun Prairie Area School District. Personal stories are our best "advertising." Whether you made a career in music because of your experience in band, or whether the values you learned through the program continue to impact your life today, we want to hear from you. Your voice is the strongest when music programs are threatened in our schools. BPBF, Inc. is a 501(c)3 organization. Your donation is tax deductible.